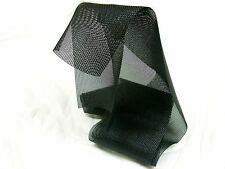 Material: 100% UHM/High Modulus carbon fiber. Item Condition: 3.5 out of 5. We believe that no usable gear should be thrown out or neglected, it should be enjoyed by a new user. We serve as an outlet for the cycling and outdoor community to turn over their no longer needed gear. Craft Team USA x-country skiing race suit. Excellent roller-skiing apparel too. Item Condition: 3.5 out of 5. Type: Ski poles. Material: Carbon. We serve as an outlet for the cycling and outdoor community to turn over their no longer needed gear. Length: 143 cm. Weight: 315 grams. 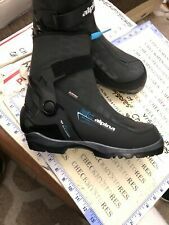 NEW Alpina ALPITEX 3M THINSULATE Ski Boots Nordic Ski Boots size 42 /US 8.5. SIZE :42 EUR - Size table. Thinsulate insulation. Rottefella NNN-BC sole works in all NNN-BC system bindings, manual or automatic. 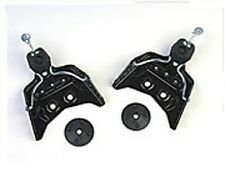 Type: Nordic ski skates. Size: 6.5 US, 39-1/3 EU, 24.5 CM. Sole Material: Carbon skating plate. Item Condition: 4 out of 5. We serve as an outlet for the cycling and outdoor community to turn over their no longer needed gear. 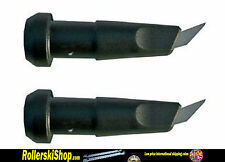 Hello you are looking at a pair ofALPINA BACKCOUTNRY SNOWFIELD NNN BC CROSS COUNTRY SKI BOOTS. Grippy sole with NNN BC binding compatible. New, no box, tried on. Black with dark orange. I can't change stated price or mark as gift. Type: Back country skiing. Size: 45 EU, 11.5 US. We serve as an outlet for the cycling and outdoor community to turn over their no longer needed gear. Item Condition: 3.5 out of 5. Sole material: Vibram rubber. Size 13/14 depending on the conversion chart one uses. Cross Country Ski Boots with Gore Tex Lining. New L.L. Bean Gore-Tex. Karhu Nomad3-Pin NN 75MM Ski Boots. Vibram soles. Uppers are in excellent condition, tread shows no wear. Made in Hungary. Mondo Size: 28.5. Item Condition: 4 out of 5. We serve as an outlet for the cycling and outdoor community to turn over their no longer needed gear. We believe in gear, and the rush it gives us. We are gear junkies. ITEM: Rossignol Saphir Anthrasite Dual Density Thermo Adjust CC Ski Boot. CONDITION: EXCELLENT! NEW - used as a display. See Pictures! It is free from any tears, holes, stains, or odors. The suit is made of a high quality spandex material that stretches. This suit is suitable for outdoor winter fitness activities including Triathlon, Biathlon, Speedskating, Bobsledding, Cross Country Skiing, and others. TECHNISCHE DATEN Schuhe : Schaft: Unterstützender Energyzer. Die Salomon x-adv 6 Boots sind warm (Thinsulate-Futter) und stützende with a water resistant Outer. Gute Skikontrolle aus der Articulated Cuff, die aus Kunststoff hat einen Power-Träger am Oberteil. Zur Beilegung von Streitigkeiten aus einem Vertragsverhältnis mit einem Verbraucher bzw. Fax: 07391/5875729. 89584 Ehingen. All are usable, SO COOL, used as shown. Item Condition: 3 out of 5. We serve as an outlet for the cycling and outdoor community to turn over their no longer needed gear. Ski Type: Cross Country Skiis. Length: 195cm. Weight: 1070 grams. Salomon SNS Profil. Bjorn Daehlie USST x-country ski Team USA race suit. Impeccable, no-flaw pre-owned condition. This is the best Bjorn Daehlie-made racing suit for the US team - I hope you can agree by simply evaluating the pictures. Binding Type: Salomon profil. Item Condition: 3.5 out of 5. Skis are free from any wear that would affect overall performance. No wax race skis. Ski Type: Cross country. We serve as an outlet for the cycling and outdoor community to turn over their no longer needed gear. Good used condition. Scratches throughout. Model: X650. Length: 160cm. 3.5 out of 5 this is a used pair of poles that are still in good condition. We believe in gear, and the rush it gives us. We are gear junkies. There, we said it. Now you should too. Otherwise in excellent condition. In original box. Trak T-1400 skis in good used condition with no issues to mention. Measure 82". As always please see photos for details of the exact item you're buying. My items are sold as is and no returns. I take pride in providing quality photos with a quality description to ensure no returns or confusion. If you have any questions just ask!!! SALOMON S.A. Model: XC TEAM. Item: Cross Country Ski Skiing Gloves - Pair of Gloves. Colors: Blue White & Yellow. White Leather - VERY VERY SOFT Leather! GENUINE LEATHER. White "hook and loop" style wrist strap closures. Good condition, overall. Significant wear creases, sizing and boot style number have rubbed off. Atomic XCruise40 US Size 10 Cross Country Ski Boots . Condition is Pre-owned. Nice ckean condition. Shipped with USPS Ground. If you take good care of your rollerskis you will enjoy them for many years. One Way Sport. Aluminum shaft for Durability.